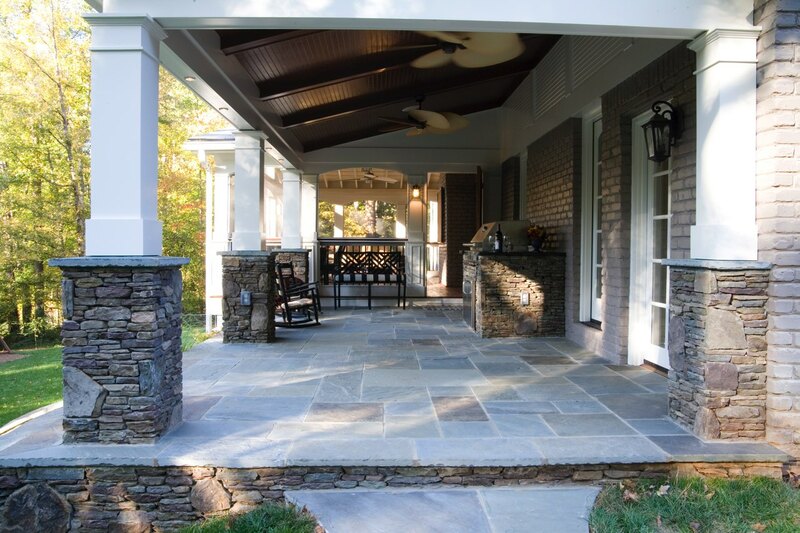 This Dunwoody back yard had recently been regraded, leaving a perfect opportunity to add a porch to transition out to the yard. 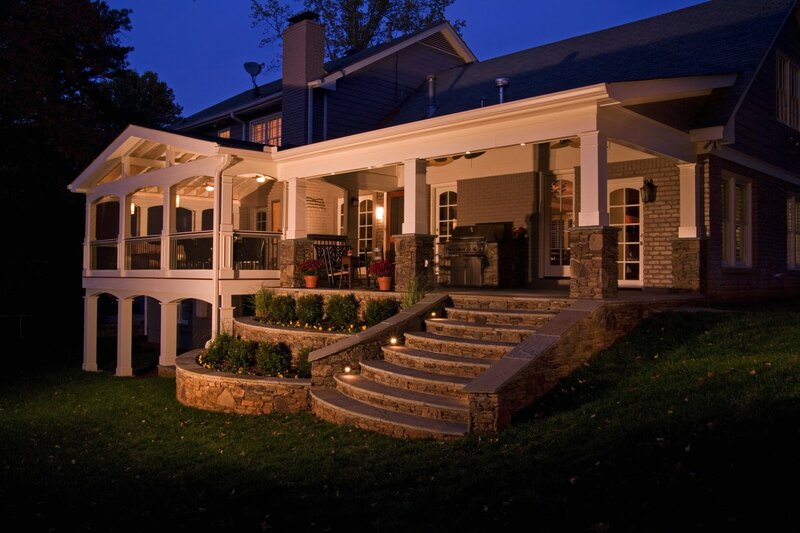 A new porch that looks like it was always meant to be there. 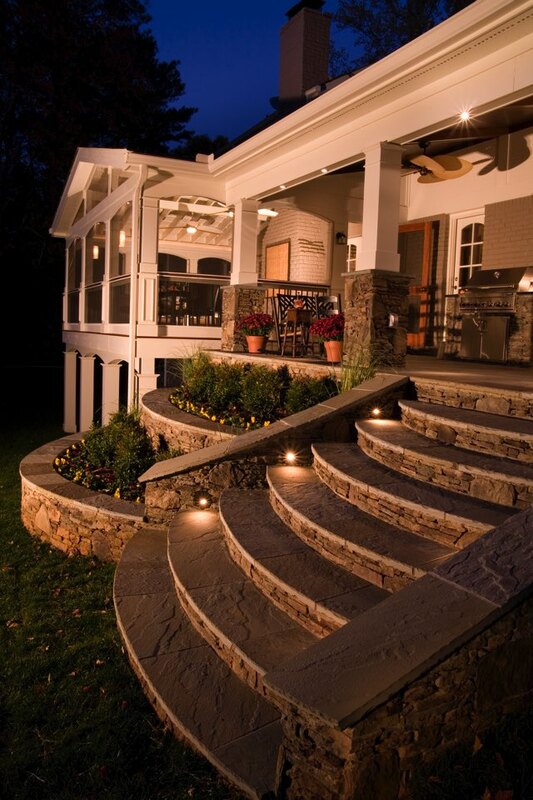 A gracious set of curved stone steps makes for an inviting entry into the rear yard. 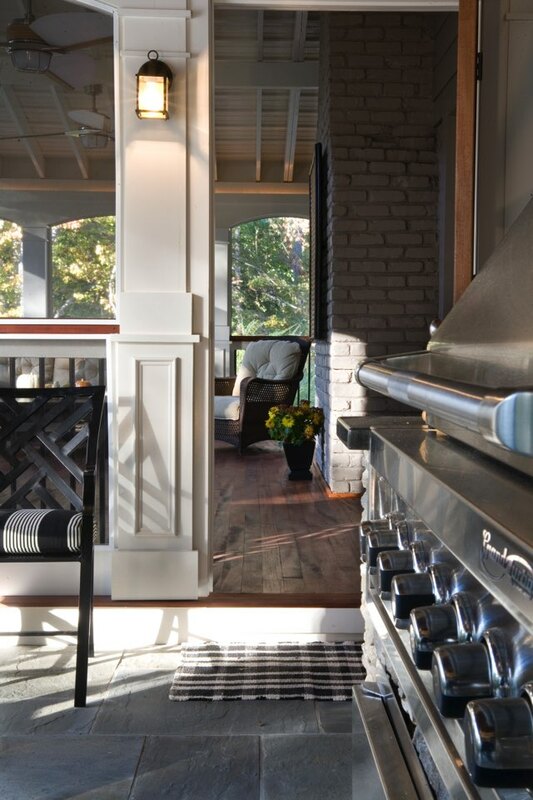 Several new doors open onto the porch for easy access and connectivity. 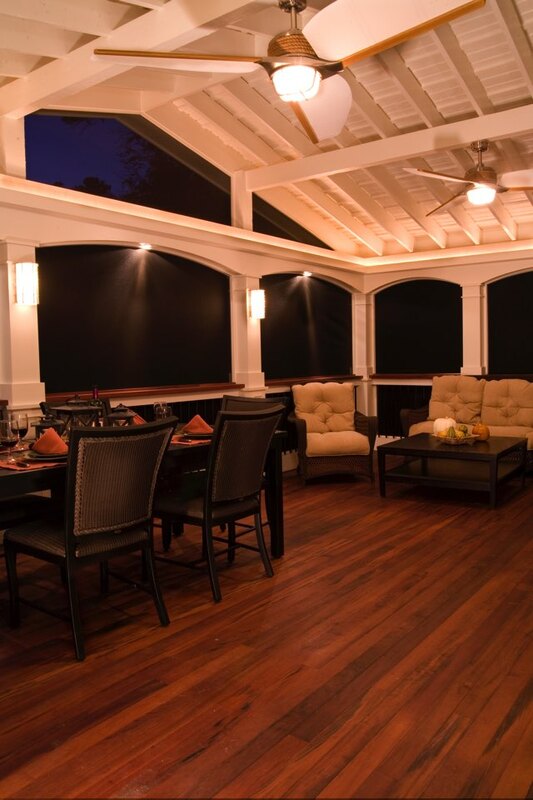 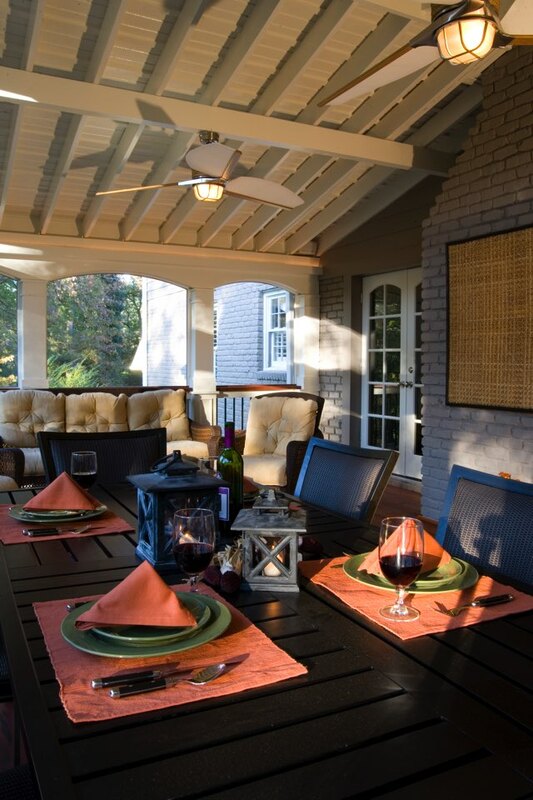 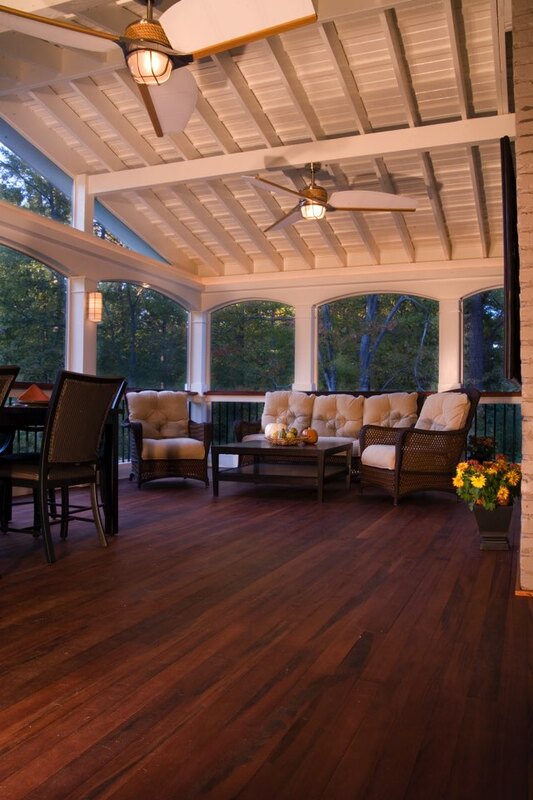 Low-maintenance materials including pvc trim, cut bluestone and Tigerwood flooring will keep the porch looking good for years to come (even in the extreme Atlanta weather).